But its nothing new because during the Cold War The KUBARK manual had been used directly by US agents operating in Latin America. Cold War U.S. Interrogation Manuals Counseled "Coercive Techniques"
"Inconsistent with U.S. Government Policy"
Washington D.C. May 12, 2004: CIA interrogation manuals written in the 1960s and 1980s described "coercive techniques" such as those used to mistreat detainees at the Abu Ghraib prison in Iraq, according to the declassified documents posted today by the National Security Archive. The Archive also posted a secret 1992 report written for then Secretary of Defense Richard Cheney warning that U.S. Army intelligence manuals that incorporated the earlier work of the CIA for training Latin American military officers in interrogation and counterintelligence techniques contained "offensive and objectionable material" that "undermines U.S. credibility, and could result in significant embarrassment." The two CIA manuals, "Human Resource Exploitation Training Manual-1983" and "KUBARK Counterintelligence Interrogation-July 1963," were originally obtained under the Freedom of Information Act by the Baltimore Sun in 1997. The KUBARK manual includes a detailed section on "The Coercive Counterintelligence Interrogation of Resistant Sources," with concrete assessments on employing "Threats and Fear," "Pain," and "Debility." The language of the 1983 "Exploitation" manual drew heavily on the language of the earlier manual, as well as on Army Intelligence field manuals from the mid 1960s generated by "Project X"-a military effort to create training guides drawn from counterinsurgency experience in Vietnam. Recommendations on prisoner interrogation included the threat of violence and deprivation and noted that no threat should be made unless the questioner "has approval to carry out the threat." The interrogator "is able to manipulate the subject's environment," the 1983 manual states, "to create unpleasant or intolerable situations, to disrupt patterns of time, space, and sensory perception." After Congress began investigating reports of Central American atrocities in the mid 1980s, particularly in Honduras, the CIA's "Human Resource Exploitation" manual was hand edited to alter passages that appeared to advocate coercion and stress techniques to be used on prisoners. CIA officials attached a new prologue page on the manual stating: "The use of force, mental torture, threats, insults or exposure to inhumane treatment of any kind as an aid to interrogation is prohibited by law, both international and domestic; it is neither authorized nor condoned"-making it clear that authorities were well aware these abusive practices were illegal and immoral, even as they continued then and now. Indeed, similar material had already been incorporated into seven Spanish-language training guides. More than a thousand copies of these manuals were distributed for use in countries such as El Salvador, Guatemala, Ecuador and Peru, and at the School of the Americas between 1987 and 1991. An inquiry was triggered in mid 1991 when the Southern Command evaluated the manuals for use in expanding military support programs in Colombia. In March 1992 Cheney received an investigative report on "Improper Material in Spanish-Language Intelligence Training Manuals." Classified SECRET, the report noted that five of the seven manuals "contained language and statements in violation of legal, regulatory or policy prohibitions" and recommended they be recalled. The memo is stamped: "SECDEF HAS SEEN." Read the Documents - Note: The following documents are in PDF format. This 127-page report, classified Secret, was drafted in July 1963 as a comprehensive guide for training interrogators in the art of obtaining intelligence from "resistant sources." KUBARK--a CIA codename for itself--describes the qualifications of a successful interrogator, and reviews the theory of non-coercive and coercive techniques for breaking a prisoner. Some recommendations are very specific. The report recommends, for example, that in choosing an interrogation site "the electric current should be known in advance, so that transformers and other modifying devices will be on hand if needed." Of specific relevance to the current scandal in Iraq is section nine, "The Coercive Counterintelligence Interrogation of Resistant Sources," (pp 82-104). Under the subheading, "Threats and Fears," the CIA authors note that "the threat of coercion usually weakens or destroys resistance more effectively than coercion itself. The threat to inflict pain, for example, can trigger fears more damaging than the immediate sensation of pain." Under the subheading "Pain," the guidelines discuss the theories behind various thresholds of pain, and recommend that a subject's "resistance is likelier to be sapped by pain which he seems to inflict upon himself" such rather than by direct torture. The report suggests forcing the detainee to stand at attention for long periods of time. A section on sensory deprivations suggests imprisoning detainees in rooms without sensory stimuli of any kind, "in a cell which has no light," for example. "An environment still more subject to control, such as water-tank or iron lung, is even more effective," the KUBARK manual concludes. This secret manual was compiled from sections of the KUBARK guidelines, and from U.S. Military Intelligence field manuals written in the mid 1960s as part of the Army's Foreign Intelligence Assistance Program codenamed "Project X." The manual was used in numerous Latin American countries as an instructional tool by CIA and Green Beret trainers between 1983 and 1987 and became the subject of executive session Senate Intelligence Committee hearings in 1988 because of human rights abuses committed by CIA-trained Honduran military units. The manual allocates considerable space to the subject of "coercive questioning" and psychological and physical techniques. The original text stated that "we will be discussing two types of techniques, coercive and non-coercive. While we do not stress the use of coercive techniques, we do want to make you aware of them." After Congress began investigating human rights violations by U.S.-trained Honduran intelligence officers, that passage was hand edited to read "while we deplore the use of coercive techniques, we do want to make you aware of them so that you may avoid them." Although the manual advised methods of coercion similar to those used in the Abu Ghraib prison by U.S. forces, it also carried a prescient observation: "The routine use of torture lowers the moral caliber of the organization that uses it and corrupts those that rely on it…." This "report of investigation" was sent to then Secretary of Defense Richard Cheney in March 1992, nine months after the Defense Department began an internal investigation into how seven counterintelligence and interrogation manuals used for years by the Southern Command throughout Latin America had come to contain "objectionable" and prohibited material. Army investigators traced the origins of the instructions on use of beatings, false imprisonment, executions and truth serums back to "Project X"-a program run by the Army Foreign Intelligence unit in the 1960s. The report to Cheney found that the "offensive and objectionable material in the manuals" contradicted the Southern Command's priority of teaching respect for human rights, and therefore "undermines U.S. credibility, and could result in significant embarrassment." 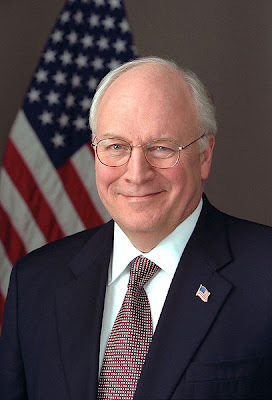 Cheney concurred with the recommendations for "corrective action" and recall and destruction of as many of the offending manuals as possible. This document records a phone conversation with Major Victor Tise, who served in 1982as a counterintelligence instructor at the School of the Americas. Tise relates the history of the "objectionable material" in the manuals and the training courses at SOA. A decade of training between 1966 and 1976 was suspended after a Congressional panel witnessed the teaching program. The Carter administration then halted the counterintelligence training courses "for fear training would contribute to Human Rights violations in other countries," Tise said, but the program was restored by the Reagan administration in 1982. He then obtained training materials from the archives of the Army's "Project X" program which he described as a "training package to provide counterinsurgency techniques learned in Vietnam to Latin American countries." The course materials he put together, including the manuals that became the subject of the investigations, were sent to Defense Department headquarters "for clearance" in 1982 and "came back approved but UNCHANGED." Although Tise stated he removed parts he believed to be objectionable, hundreds of unaltered manuals were used throughout Latin America over the next nine years. Preparing the Battlefield by Seymour M. Hersh.